This information is Copyright © 2010 DGLA. All rights reserved. The founding partners of DGLA combine for more than 85 years of jewelry experience. This experience gives DGLA a unique advantage as a leader in the fields of Certification, Appraising, Quality Assurance, engraving and manufacturing throughput. 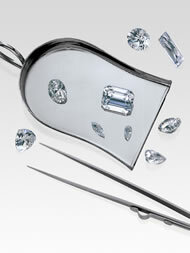 DGLA was created with the multi-store jeweler in mind. Our throughput is unmatched and unrivaled in the industry, even during the peak holiday seasons. When quality and integrity are of the essence, DGLA is there to get you your certified and inspected product to you on time. DGLA Copyright © 2011. All rights reserved. a maramade production.